We are all purchasing items naturally with Box Tops for Education. These are thumb-size rectangle logos with Box Tops for Education & an expiration date. Each one of these has a value of 10₵. However, these can really add up & there is no limit to how many the school can submit & earn cash. There are (2) submission deadlines per year & checks are cut twice a year and mailed to the participating schools. The next submission deadline is March 1st, 2019. Main Street & Kindergarten is currently collecting with a Competition / Drive. The Box Tops Collection Competition will run until Friday, February 15th to allow time to cut, sort, & count, prepare for submission & mail with a postmark of March 1st or earlier. You may always submit after this & we can add to the next submission timeframe. We are calling the community to action. Please be aware of these items & their value if we collect together. I know they are considered “FREE money” but they require some effort. We need you to notice them, cut out, collect & then get them to the school. You can mail these to Main Street School at 225 W. Main Street, Shelbyville, IL 62565. We are also having a Class Competition. The winning Class will enjoy a PIZZA PARTY! 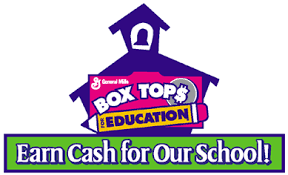 We plan to purchase technology devices and Social & Emotional Resources for the classrooms with money earned from Box Tops for Education program. We are partnering with Robyn Carswell & her SHS students to help cut, sort & count. This is good practice for fine motor skills with cutting & math skills such as cardinality with counting. We want everyone to know about these programs & that their contribution matters. We tell the students to make sure their grandparents, parent co-workers, people at church, etc… know about the program and the goal so we can increase our TEAM Effort. Please consider helping spread the word and collect for our school!